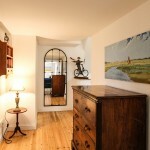 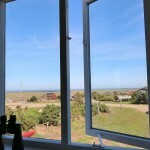 If you are looking for a light-filled artist’s retreat, situated high on the sandy downs above Blakeney with panoramic views over the Salt marshes to the sea beyond; if you love a quirky eclectic mix of furnishings and art-works set in a simple but stylish interior; if, even in the height of the season, you want to be away from the ‘madding crowds’ and noise and bustle of happy holiday makers, if you want wonderful walks right from your doorstep…. 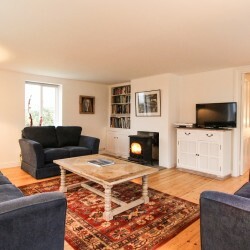 then South Down House is the property for you. 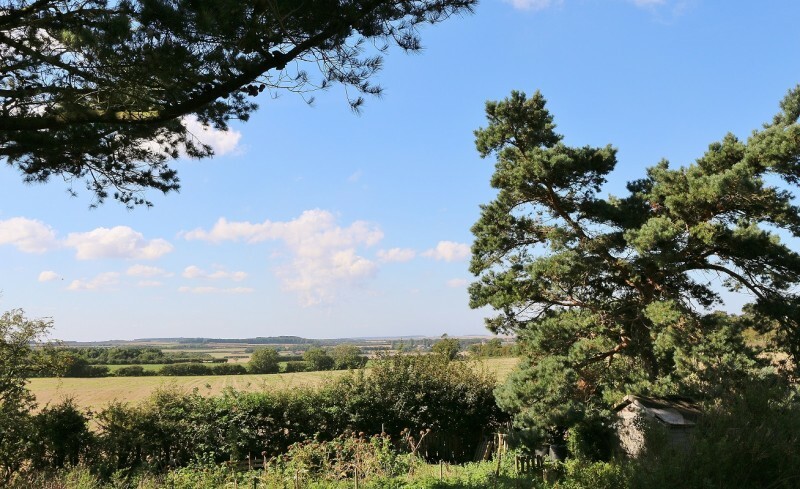 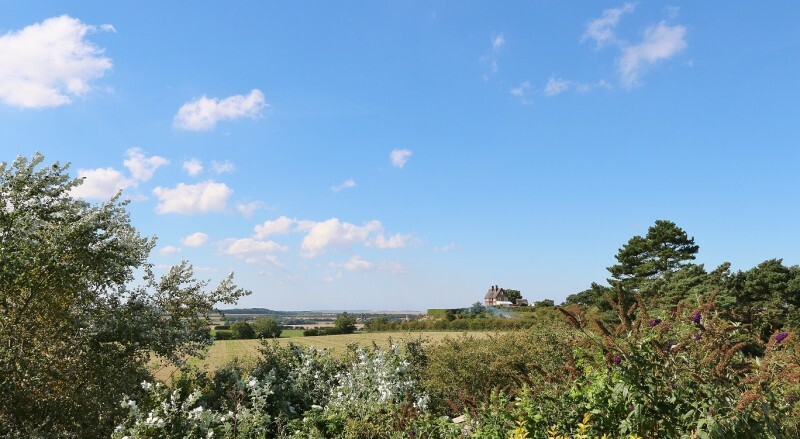 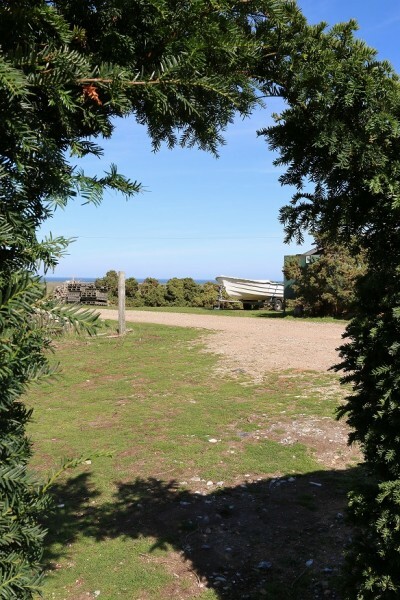 When we visited Southdown for the first time we came away feeling as though we had stepped back in time to happy, carefree holidays of our childhood, when it was all about enjoying being on holiday. 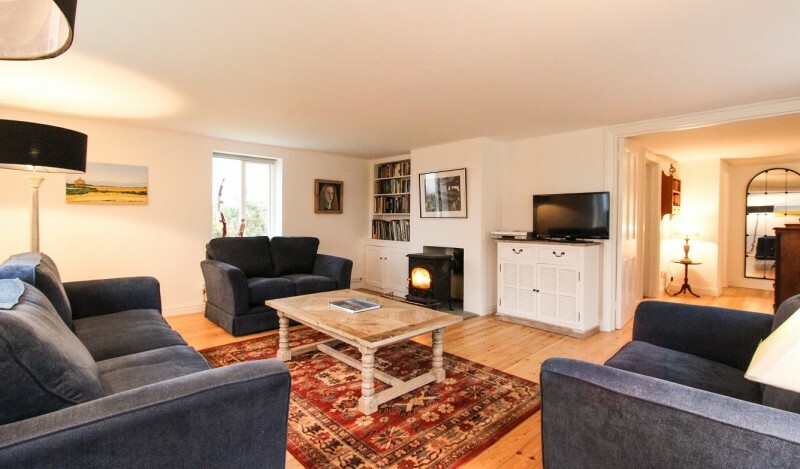 We could imagine the happy evenings spent with a bottle of two of good wine, lounging on the old sofas in the vine house, watching the setting sun… bliss! 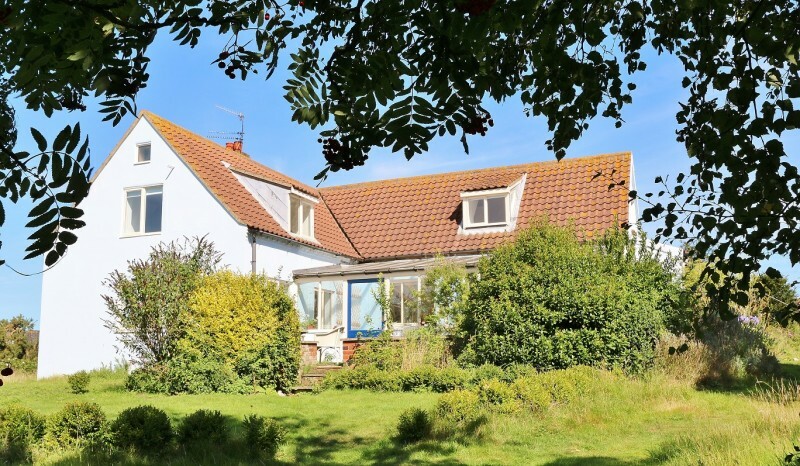 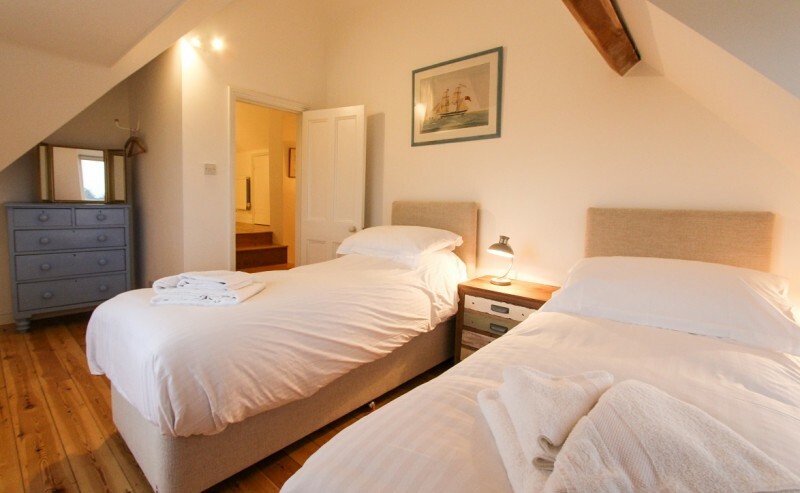 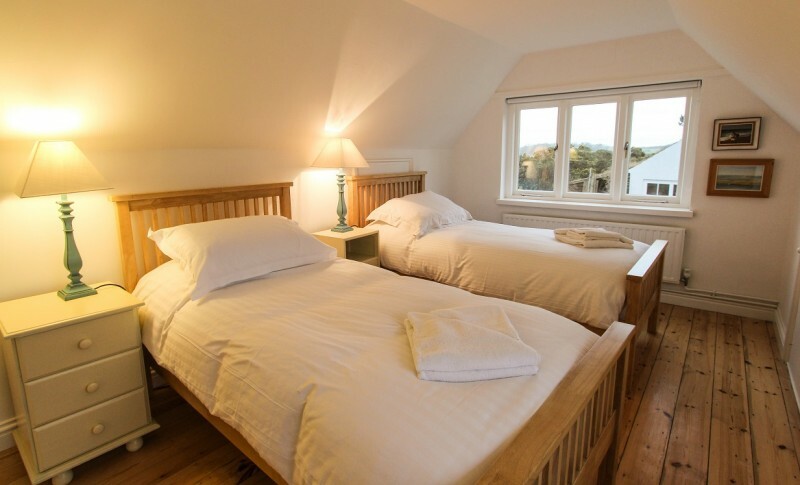 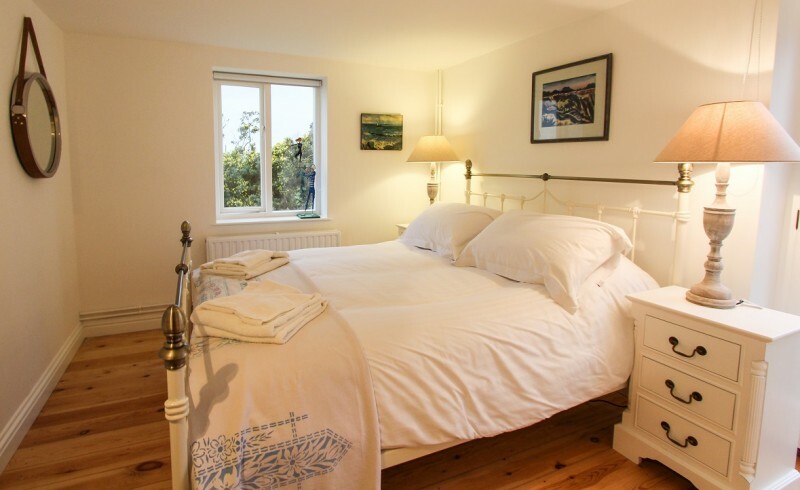 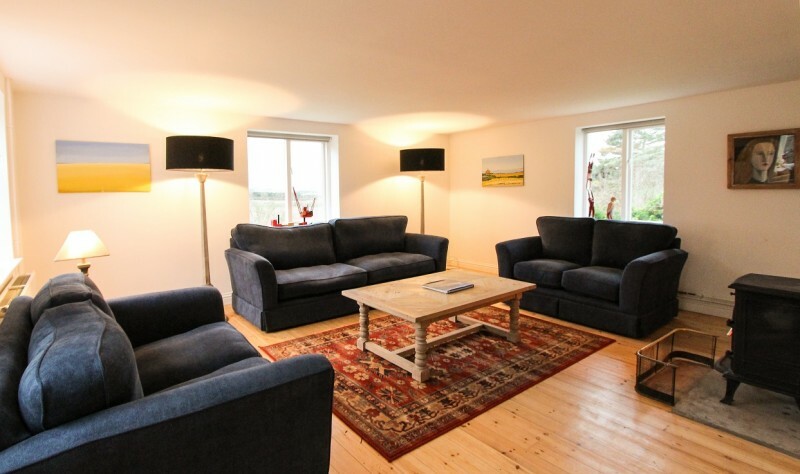 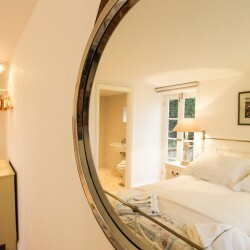 The owner has recently fully renovated the cottage with a new kitchen and bathrooms, lovely comfy new sofas in the sitting room, new beds and mattresses etc. 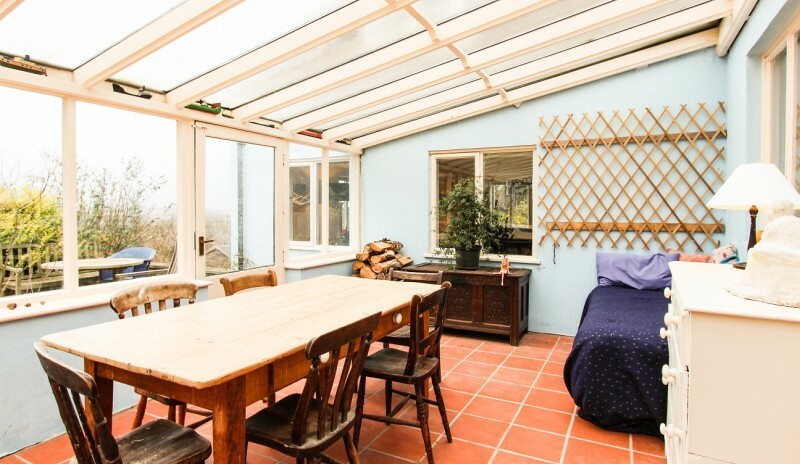 so please don’t think that the ‘boho’ style of this property comes at the expense of comfort and modern conveniences, that couldn’t be further from the truth! 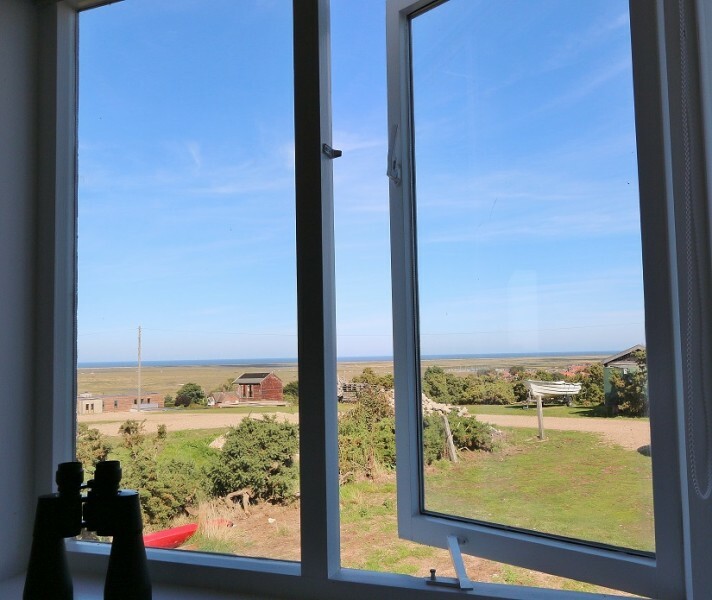 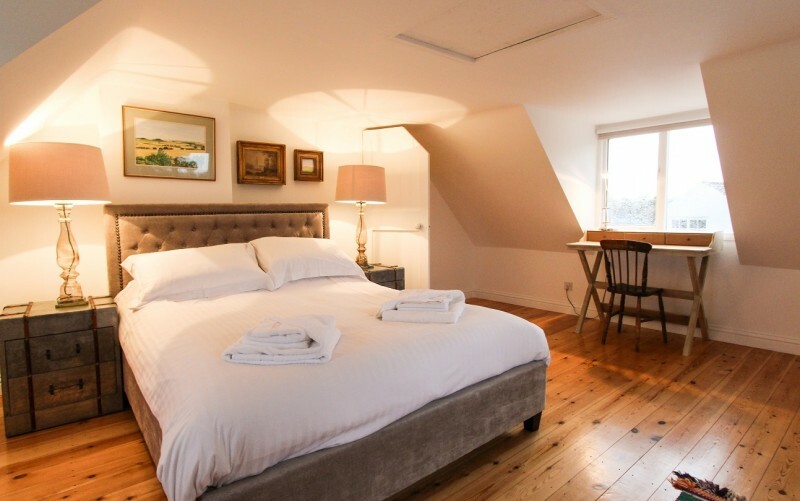 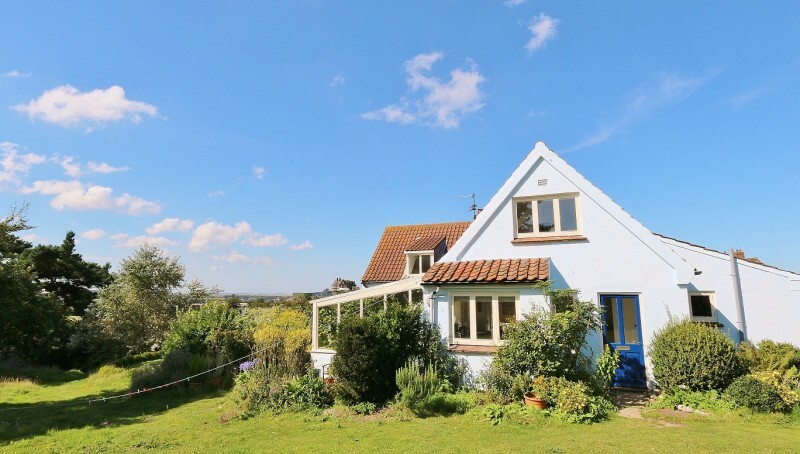 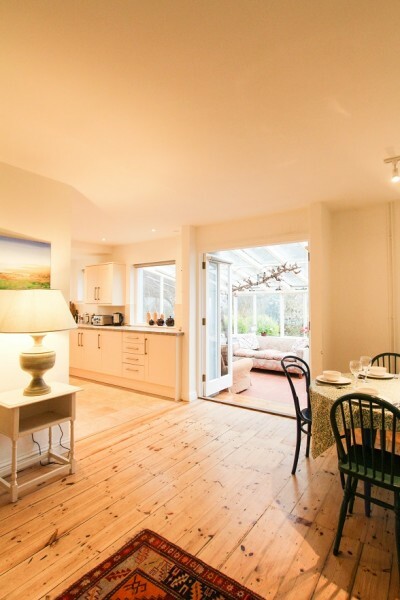 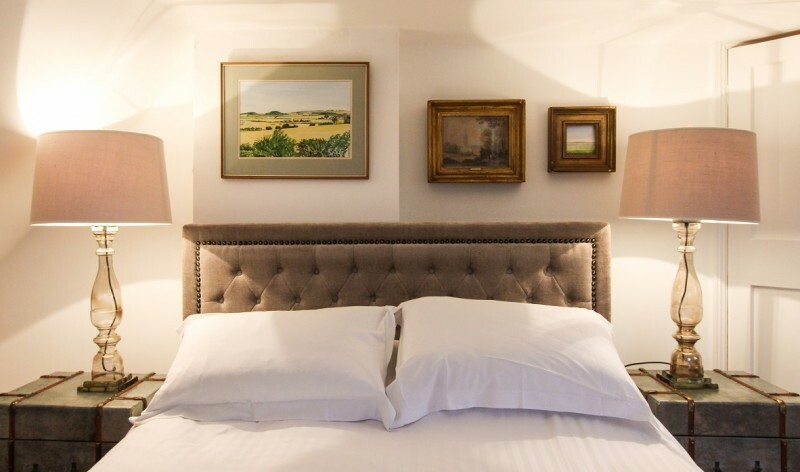 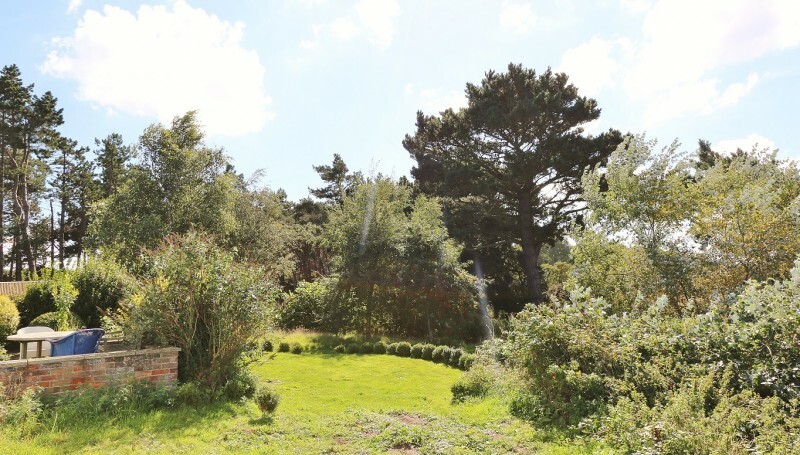 So down to details… Southdown is situated down a long drive about a quarter of a mile outside Blakeney on a large area of beautiful and rugged heathland. 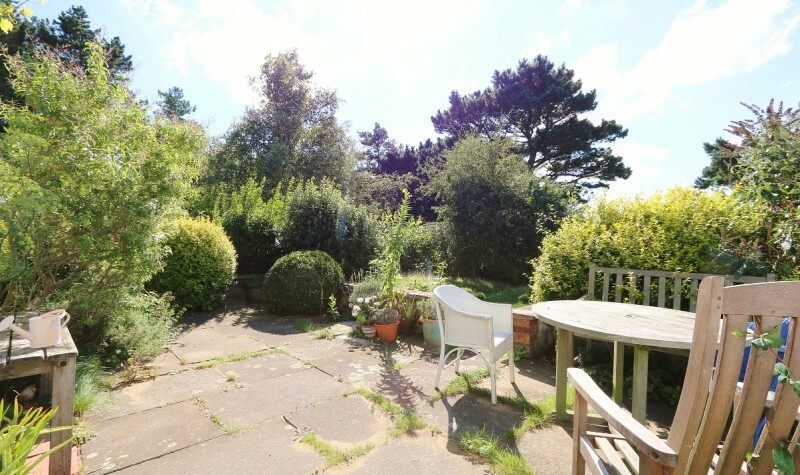 There is parking for 4 cars and the house sits in a good sized private garden that consists of grass, shrubs, trees and some roses and various bits and bobs waiting perhaps to be upcycled! 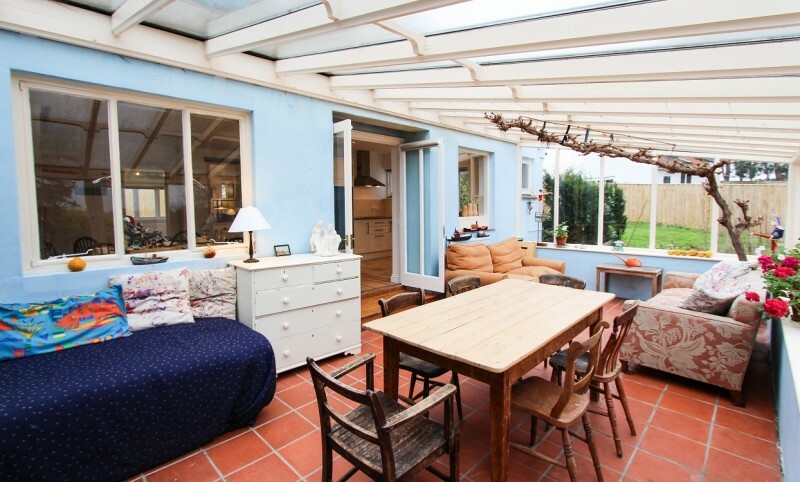 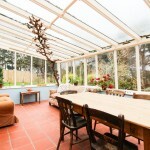 As described before there is a large glass conservatory attached to the side of the house making an ideal chill out zone in the summer. 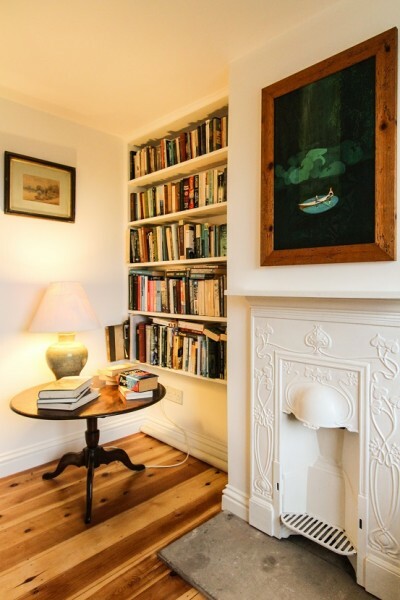 The old vine is very precious to the owner and must NOT be used as a play thing, or swing or climbing frame by children (or adults!) 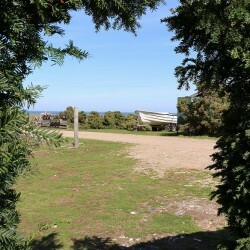 however he welcomes you to help yourselves to its delicious fruit when ripe. 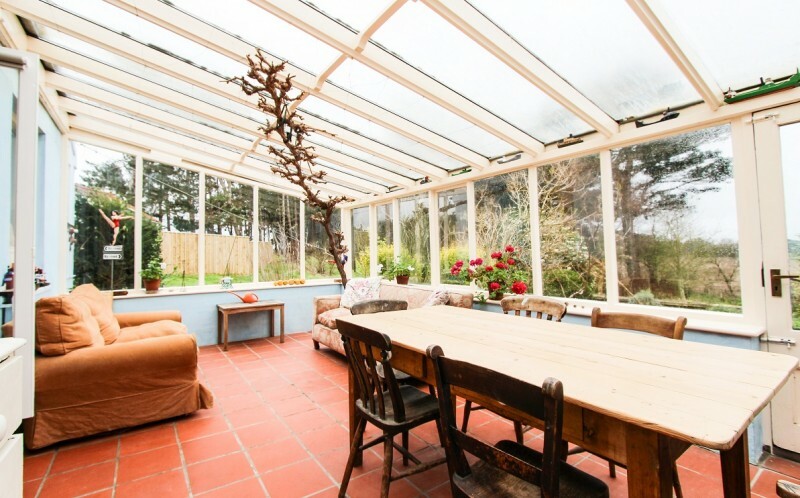 This glass house isn’t heated and is really only suitable for use in the summer. 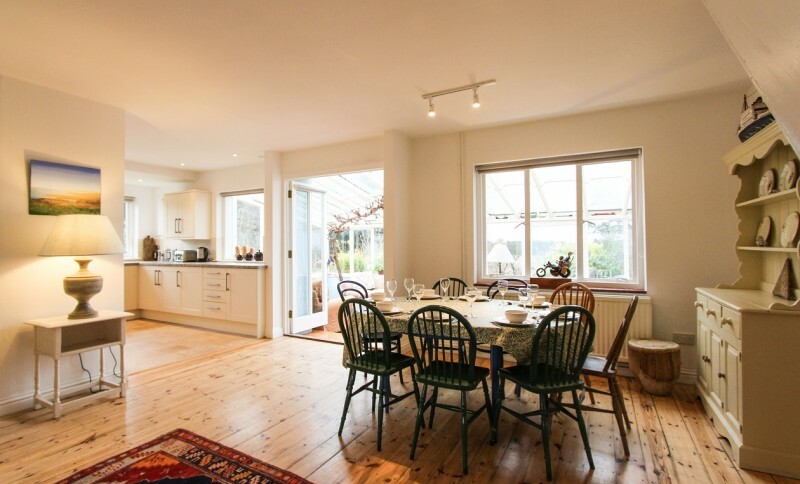 Double glass doors open from the glass house into te reception hall/dining area/kitchen and so feels very bright and light. 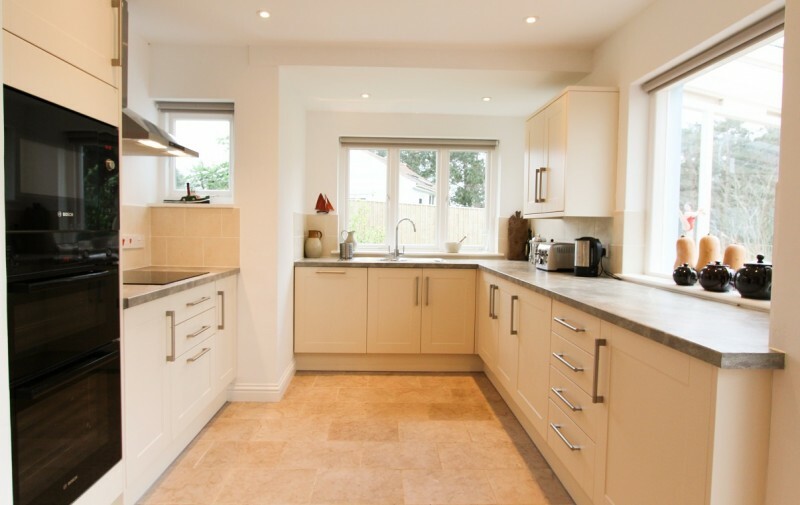 The well equipped kitchen an has integrated dishwasher, fridge and freezer and built in double oven and microwave, there is a halogen hob. 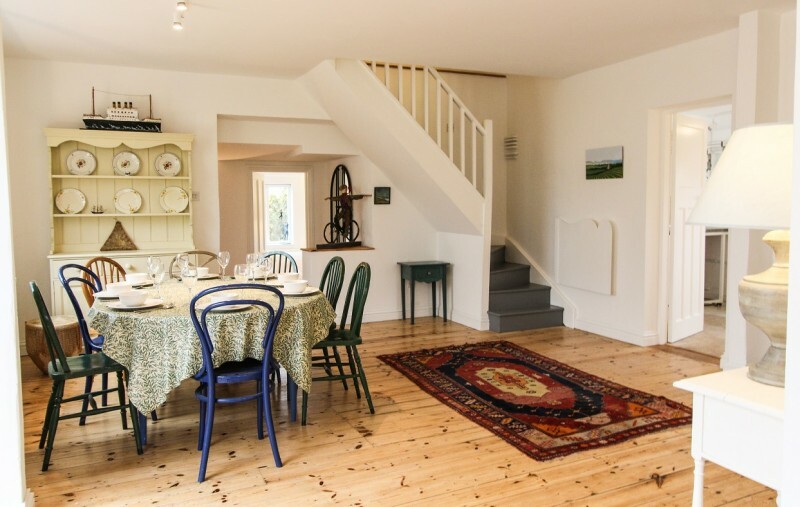 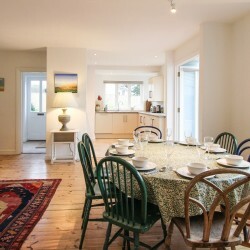 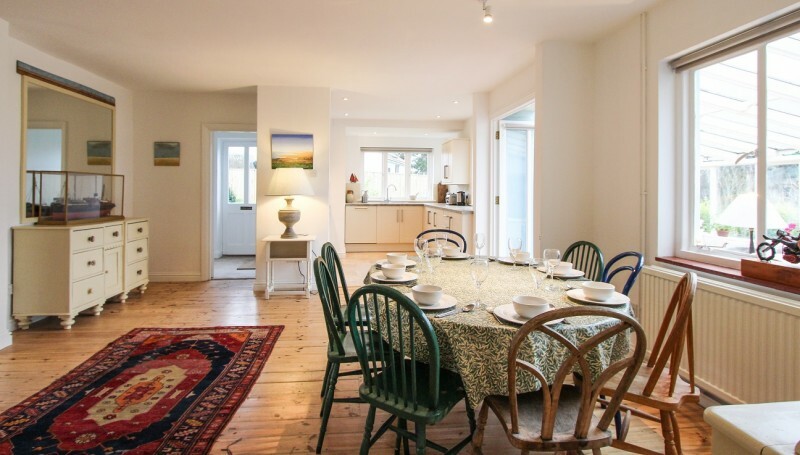 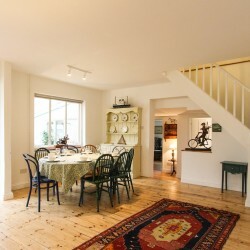 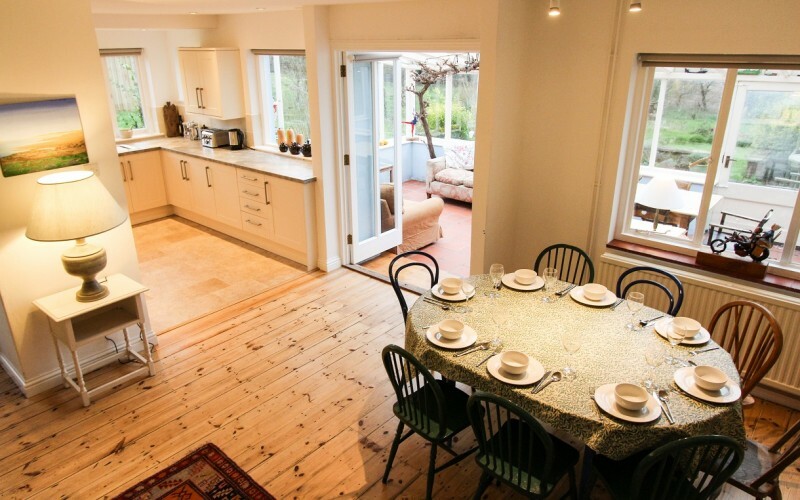 Situated to the right and to the left of the dining area (which has a table that comfortably seats 8) are stairs to the first floor and a couple of wide steps down to the rear hall way off which is a large sitting room with three comfy sofas clustered around the large and efficient wood burning stove. 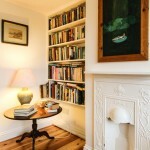 There is a LCD TV, and DVD player in this room, well stocked book shelves and of course the house has free WiFi. 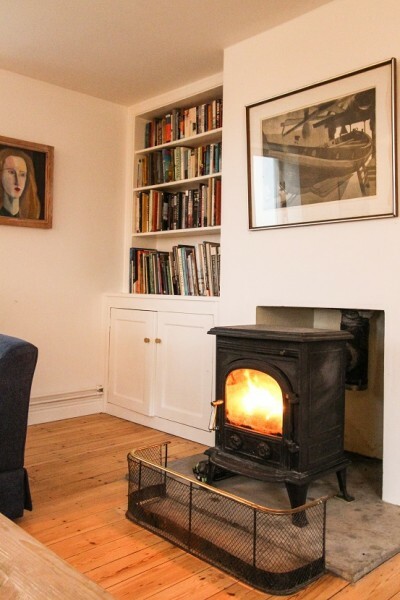 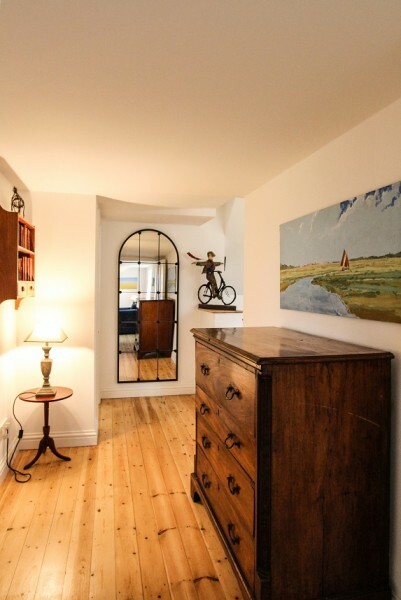 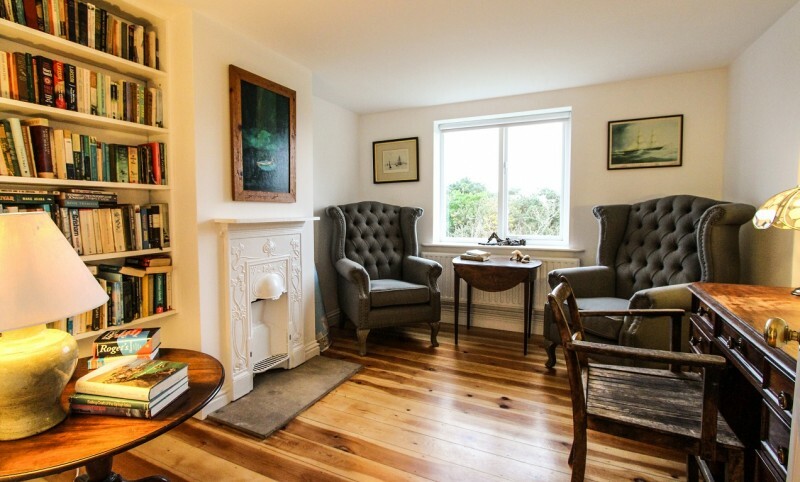 For those wishing for a little peace and quiet there is a rather charming snug/study with its original art deco fire suround furnished with 2 comfy armchairs, plenty of books and a desk for those inspired by the wonderful views to put pen to paper. 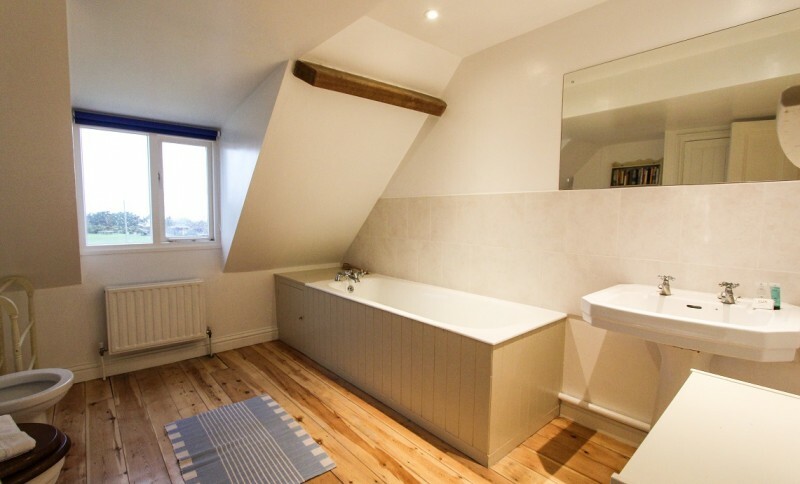 Also on the ground floor is a is a double bedroom with king size cream brass bed and wet room style en-suite, a large utility room with washing machine and another wet room style shower room off it. 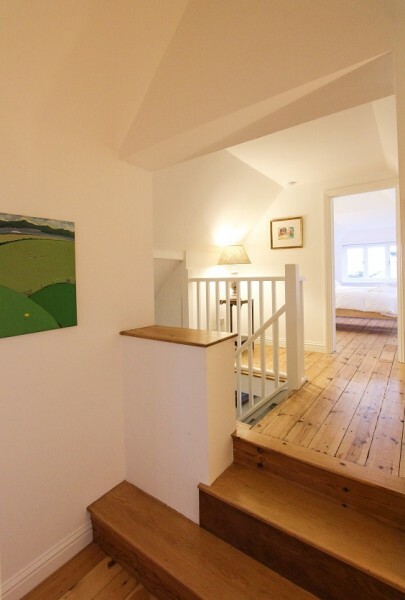 Painted stairs lead to the first floor set in the eaves of the house where there are two further bedrooms, a generous king size room with wonderful rural views and a zip and link room with gorgeous views across the rooftops of Blakeney village, over the salt marsh and out to Sea (please give us at least 2 weeks notice on whether you would like the bed in this room made up as a twin or kingsize double). 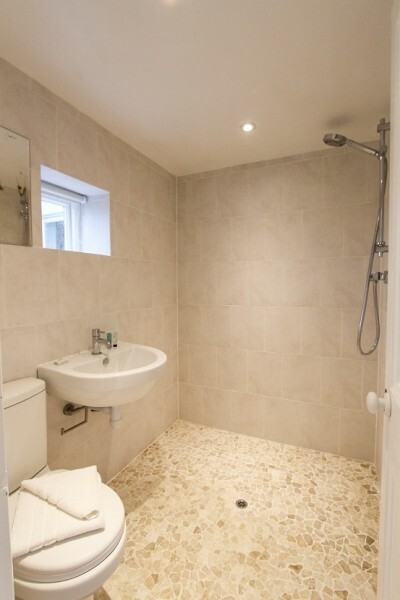 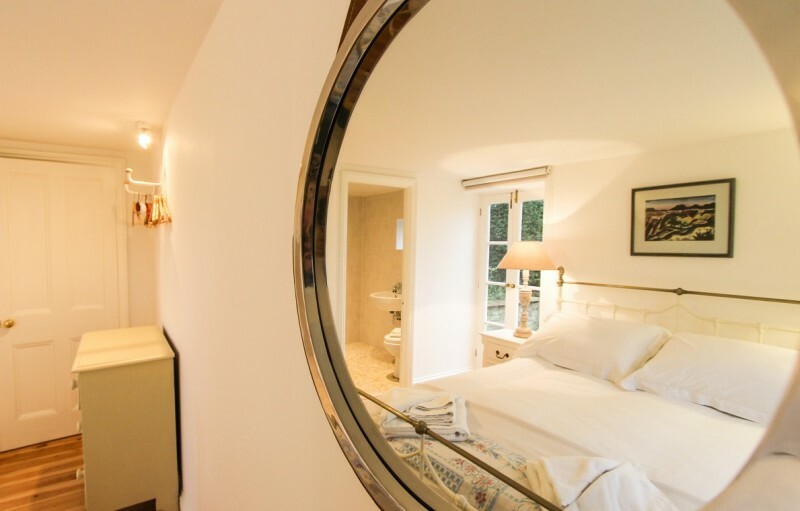 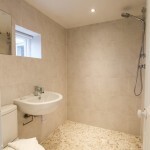 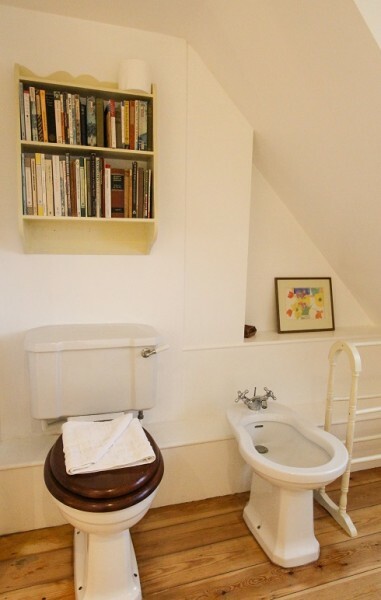 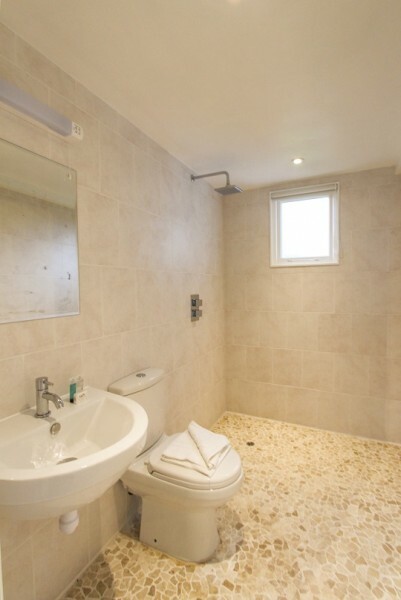 The bathroom on this floor has a large washbasin, wc, bidet and bath and as with all the rooms in the house maintains the pale coastal feel and is very light and airy. 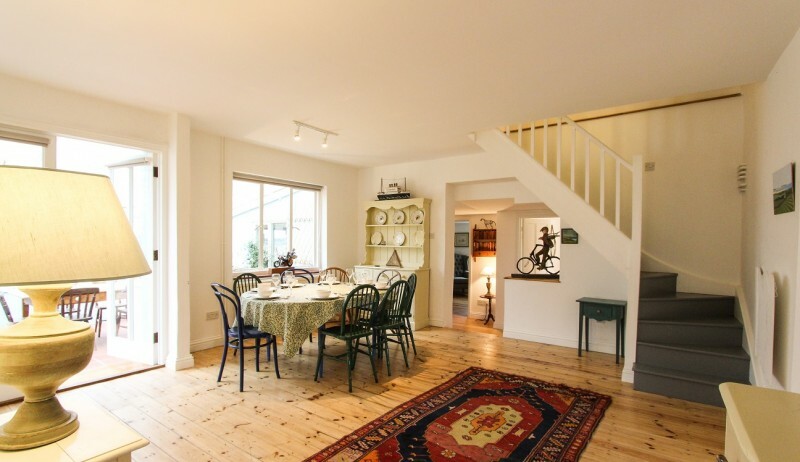 There are various changes of level on the first floor with a couple of steps up and down and in places on the landing the ceiling height is restricted due to a low beam so mind your head! 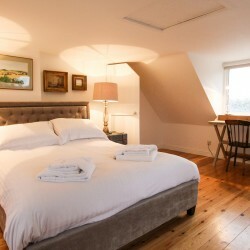 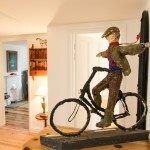 Southdown is a great place to stay whatever the season. 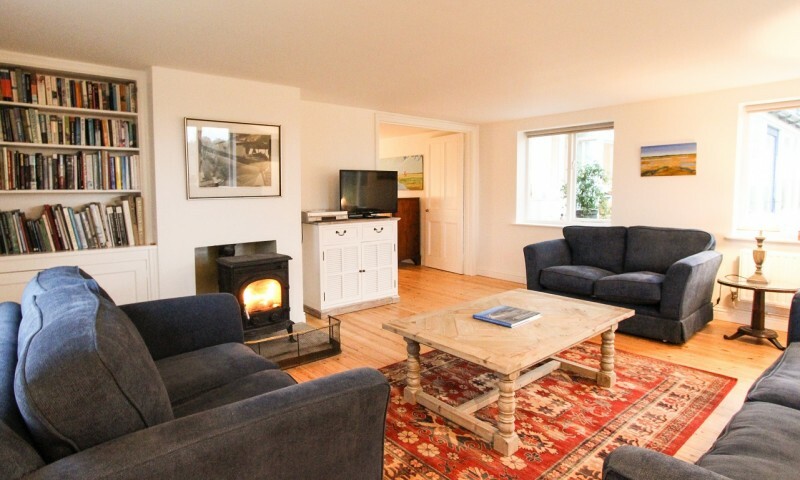 Either with the doors flung open to the beautiful surroundings in the summer or on cosy winter evenings gathered around the fire… guests can enjoy this very special and unique property at any time of the year. 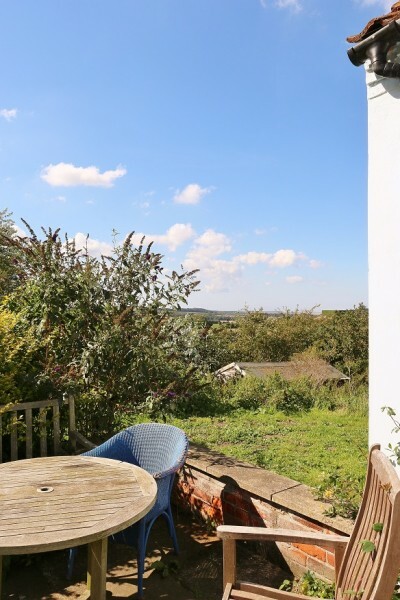 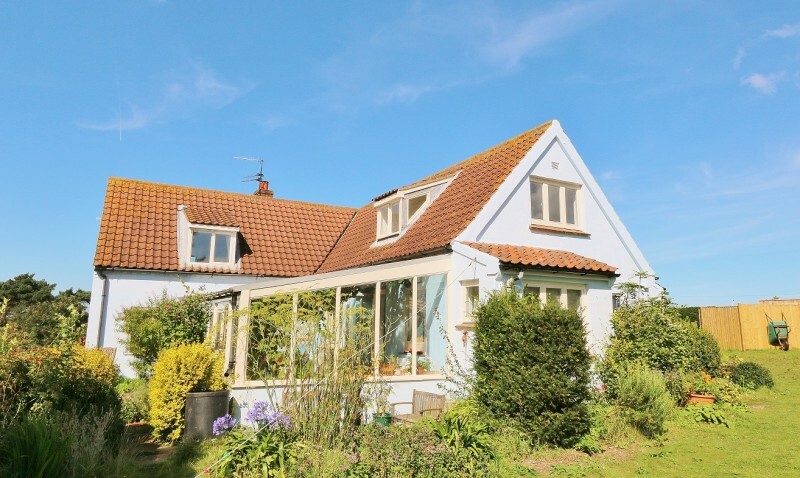 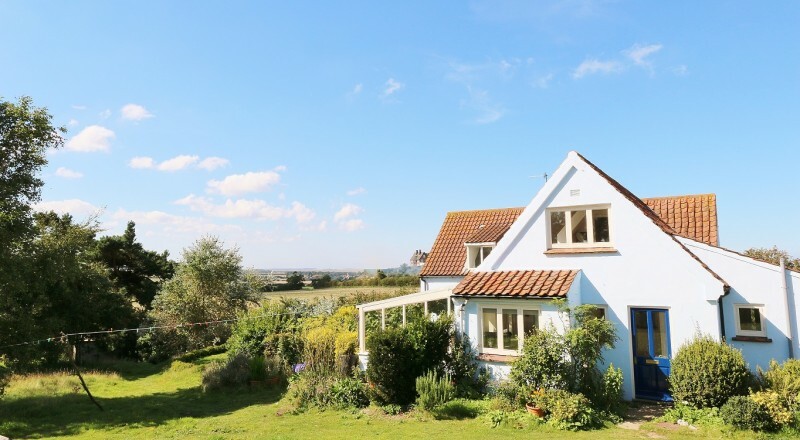 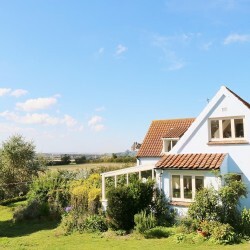 From nearly every window in the house there are stunning views over the coast and countryside and the owner has cleverly updated his favourite family holiday home without losing any of its timeless charm. 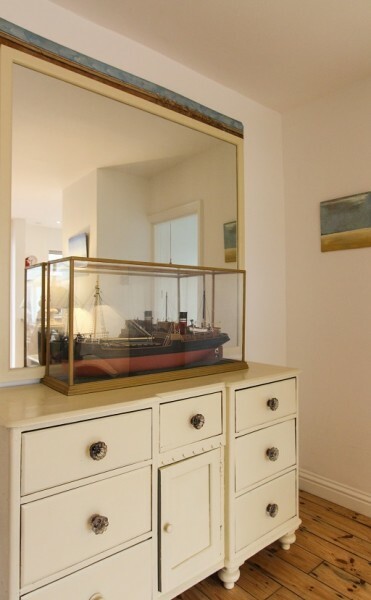 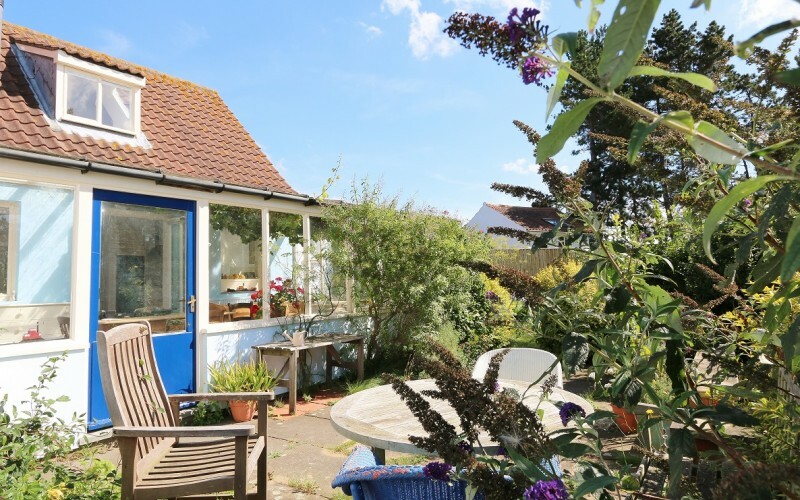 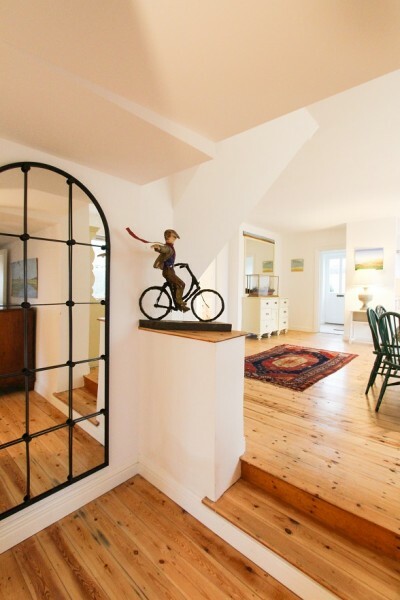 Please note – as seen in the photos, the house is full of the owners creations; wonderful quirky sculptures, boats and pieces of art which we would like to stress are not toys and must not be treated as such. 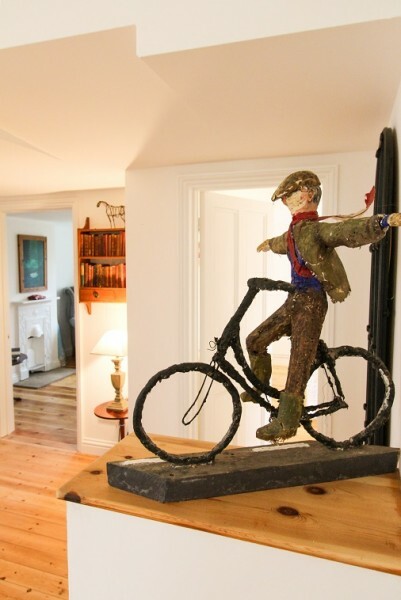 If they prove too tempting for little hands we ask guests to place them out of reach at the start of their stay and return the artworks to their rightful positions at the end of the holiday.